Basketball conditioning that includes resistance bands can help develop stronger legs, hips, and glutes. Wearing leg resistance bands like Kinetic Bands while you practice explosive movements and during plyometric jump training can help take your vertical jumps to new heights. Becoming more explosive off the floor will help increase vertical jump height. A good vertical can help basketball players rebound the ball easier to score more points; block more shots and passes; and become a force on the court. Speed, lateral quickness, and a quick first step are key elements for success on the basketball court; fast breaks on offense, cutting off fast breaks on defense, and beating your opponent to the spot in all phases of the game. Balance and body control will improve a player's ability to change direction quickly and react to the movement anywhere on the court. Using resistance bands while performing ladder drills is a great way to work on a basketball player's footwork, balance, and hip stability. Using resistance bands during strength and conditioning workouts can help improve a player's stamina and endurance, greatly increasing the ability to compete at peak performance throughout the entire game. Games are often won and lost due to fatigue and the inability to outperform an opponent. "I see the Kinetic Bands as a tremendous tool for beginning athletes as well as advanced athletes that want an edge over the competition. I began training with the Kinetic Bands and Coach Eddy as a junior in High School. 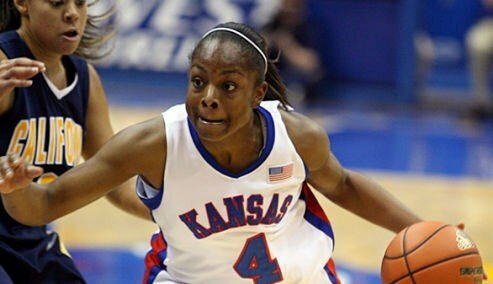 I went on to play 4 years of collegiate basketball as a starter at the University of Kansas and was the No. 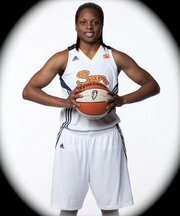 7 Overall Pick in the 2010 WNBA Draft by Conneticut Sun. I have incorporated the Kinetic Bands as a way to increase speed, agility, and quickness on offense and defense in my own training camps and individual training groups. Kinetic Bands provide quick results and help build the core muscles to enhance the athlete's movements and strengthen their weaknesses."